Civil rights activists are up in arms over new refugee camps in former factories and warehouses near Greece's second-largest city, Thessaloniki. The abysmal conditions in overcrowded camps “put at risk the health of people,” refugee campaigners say. Several thousand refugees were transported to the new sites after Europe's biggest refugee camp at Idomeni, close to the Macedonian border, was cleared by police last week. Human rights groups have repeatedly voiced concerns over the deplorable living conditions at Idomeni, home to at least 8,000 migrants and refugees, most of them Syrians and Iraqis. 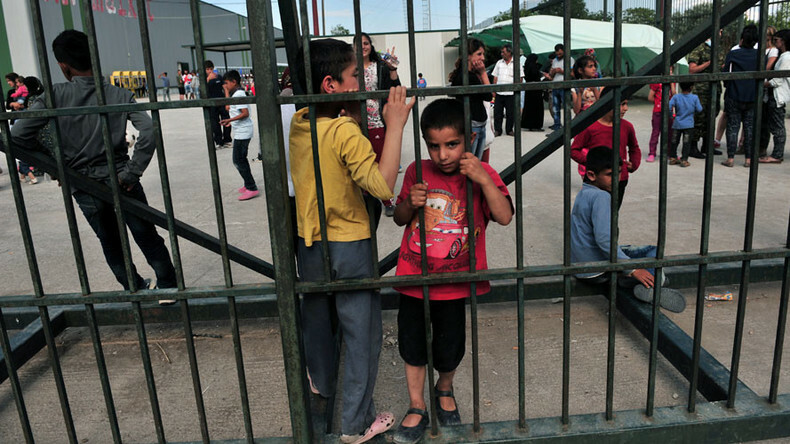 One of the camp's critics, Greek Interior Minister Panagiotis Kouroumplis, even dubbed it the “modern Dachau,” comparing the facility to the famous Nazi concentration camp. Civil rights activists say that the conditions at the new migrant facilities in Greece also leave much to be desired, however. “The living conditions are actually quite concerning,” Doctors Without Borders (MSF) Medical Coordinator in Greece, Dr. Lamia Bezer, told RT after visiting the site. “The places where the camps have been set up are all in industrial areas. All these areas are not supposed to be residential areas. They are not really fit to be hosting thousands of people. The ones that we visited are definitely overcrowded. Hygienic conditions are extremely poor, to the point they can actually put at risk the health of people,” she said. “There are piles of waste in several areas where people are living. These conditions could have been avoided, the planning could have been done a little bit better,” she noted. The UN refugee watchdog has also sounded the alarm. “The conditions of some of the sites that refugees and migrants were transferred to fall well below minimum standards,” the UN refugee agency’s Melissa Fleming said. Last week, eurozone finance ministers clinched a deal with the deeply indebted Greece and the International Monetary Fund (IMF) to release over €10 billion (US$11.15 billion) in emergency bailout payments. Athens will have to send much of it back to its creditors to avert default in the summer. “Due to the fact that Greece is basically on the brink of collapse – it is a country with enormous financial deficit – it is easily imaginable that the money flows that are coming into Greece for the migrant issue are being used for other things, or simply the infrastructure of the state simply cannot observe this money and the money is dripping in all sort of direction and is flowing away,” László Marácz, assistant professor at Amsterdam University, told RT. “I don't think the situation will improve in the near future. We're basically in the same situation as a year ago. The deal with Turkey is not functioning, so this means we will have a humanitarian crisis where camps in Greece will be overflowed with people,” he added. 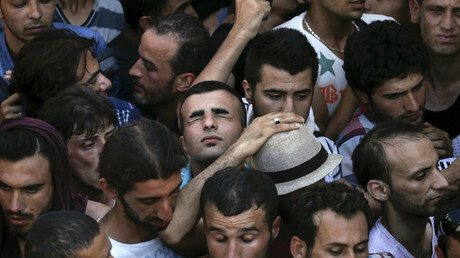 In March, the EU and Turkey reached an agreement on limiting migration to Europe. According to the deal, Ankara promised to accept repatriated refugees from Greece with no EU entry permits, in exchange for sending the same number of vetted Syrian refugees. To finance this, Turkey was promised €6 billion in European funding over the next half-decade. The European Union also agreed to speed up the provision of 3 billion euros, which it promised to Turkey earlier, and allocate another €3 billion by 2018 after Ankara submits a list of projects requiring EU assistance. Meanwhile, human rights groups have repeatedly accused Erdogan’s government of placing its Syrian refugees in war zones on its border with Syria, in addition to persecution of its Kurdish minority and a clampdown on the press and opposition. “Turkey is not a safe third country for refugees," Giorgos Kosmopoulos, head of Amnesty International in Greece, told AP last month. 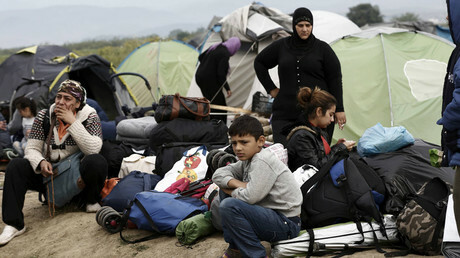 “The EU and Greek authorities know this and have no excuse […] Even if this first group is not refugees, what we are seeing here is symbolic kick off of what might be a very dangerous practice of returns to Turkey,” he added after authorities on the Greek islands of Lesbos and Chios deported over 200 migrants on boats bound for Turkey in early April.